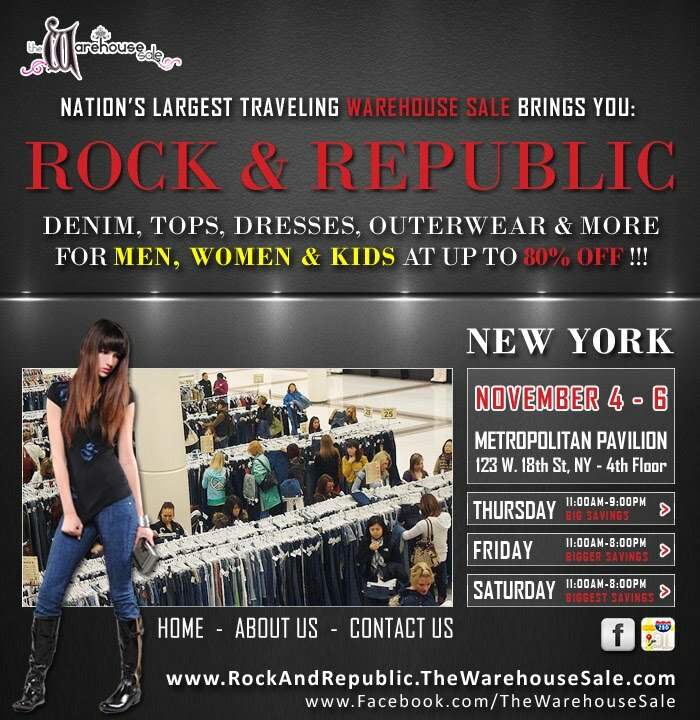 If you are shopping for jeans and missed 7 For All Mankind The Warehouse Sale, here's another chance - this time to catch Rock & Republic The Warehouse Sale! If you plan on going to Lucky Shops on November 6th, then you are in luck because this is right next door! November 6th is the last day so you know what that means - even further markdowns on the last day! To rsvp for the Rock & Republic sale, click here.